On November 1st, in Shanghai honorable square, Motorola company hold a grand meeting to introduce a new product, MOTOOKRZR. Many stars attended this activity. The company also announced that Zhou Xun would be on behalf of the issue in China. She would play an commercial clip of this one. Zhou Xun said that she would held a charitable auction in order to help poor children go to school. 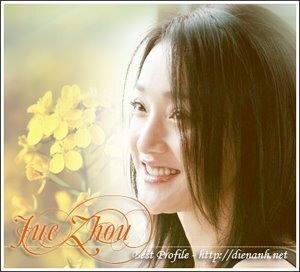 Concerning with many famous poeple's telephone numbers and address were publiced, Zhou Xun said that at first she didn't know why she received a lot of calls from strange people. Then one of her friends told her the reason. She stopped using this number. She hoped this would never happen again.